Fleet news – Citroen takeover plans – HubNut – celebrating the average! Yes, it seems I’m thoroughly returning to the world of Citroens. Astonishingly, within hours of putting the Discovery on the market, a friend with a BX offered a swap deal involving actual money, as well as a 1988 BX 19RD estate. I couldn’t possibly refuse. After all, I have been missing BXs since I swapped my turbo diesel estate for a Volkswagen Golf last summer. 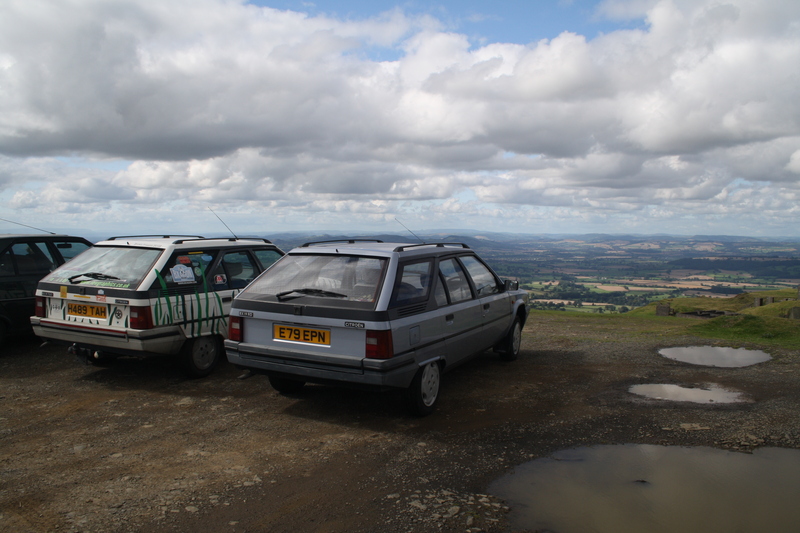 Don’t get me wrong – the BX is not a perfect vehicle. However, I still find it a very difficult car to match dynamically. It has an excellent balance of ride and handling – it’s good at both – and yet is massively practical, attractive (in an Etch-a-sketch kind of way) and economical. I’m looking forward to the swap taking place, but it’s a good few days away yet. The BX is going to have a fresh MOT, and the Discovery is going to have new rear radius arm bushes fitted. I’m very excited. Here’s a picture of it, next to my old striped BX estate. I am still hoping to close a deal on a Citroen XM as well. I’ve never owned an XM, but as it is really just a scaled up BX, I should imagine I’ll like it. It’s an automatic, so it’ll drink a lot more fuel than the BX, but offers a full-on-waft driving experience. Yet, as I well know, an XM can be hustled through corners with surprising vigour. Will it just be too big for Welsh roads? That was certainly a fault of its predecessor – the CX. I look forward to finding out.